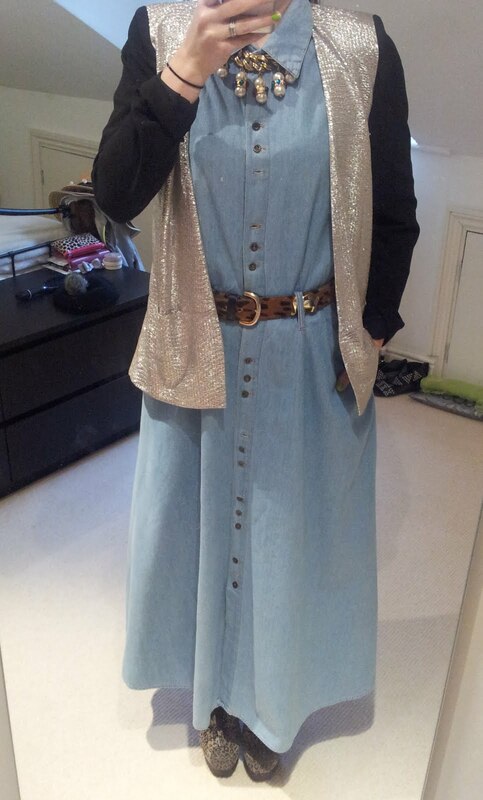 Denim dress: Vintage, from The Old Biscuit Mill market in Cape Town. 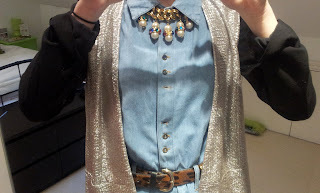 Silver jacket: River Island. Leopard and elephant belt: Furla. Bauble and giant pearl necklace: Boutique by Susan Caplan. Leopard booties: ASOS. 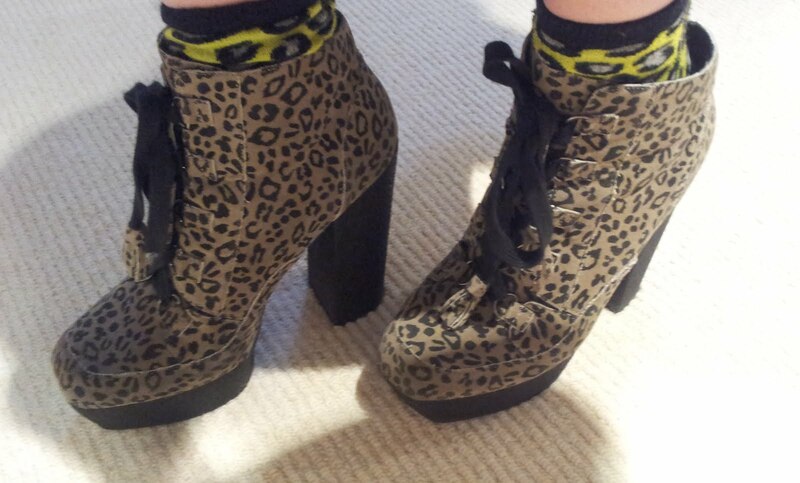 Neon leopard socks: Topshop.